Depending on the circumstances of the crash and the severity of the impact, car accidents can cause injuries to virtually any part of the body. The National Highway Traffic Safety Administration (NHTSA) estimates that each year, 3,335,800 people are injured in auto accidents in the United States. Certain injuries are more common than others. Here are a few of the most common car accident injuries. One of the most common injuries suffered by drivers and passengers are head injuries. It is also among the most serious car accident injuries. The injury can range from a mild concussion to a traumatic brain injury. Often extensive medical treatment and long-term medical care are required. Head injuries can also lead to skull fractures, hearing loss and vision problems. Neck injury may occur in milder forms, such as whiplash and neck strain to more serious injuries like cervical radiculopathy and disc injury. Chest injuries can be very dangerous as they are not always as easy to recognize. Injury in the chest area can cause broken ribs and puncture the lungs. People with heart problems can go into traumatic cardiac arrest from the accident. Other internal injuries include injuries to bowels, kidneys, the spleen, liver, lungs, heart or aorta. In a car accident, spinal cord injuries fall within the category of the most serious injuries. Spinal cord injury is caused when displaced bone fragments, disc material or ligaments bruise or tear into spinal cord tissue. It can destroy the axons, the part of our nerve cells that carry signals up and down the spinal cord between the brain and the rest of the body. The severity of a back injury depends on a number of factors and can often times be serious. The injuries include sprains, strains, fractures, disc injury, thoracic spine injury, lumbar radiculopathy and lumbar spine injury. Anyone showing signs of back injury should avoid moving after the car accident in order to avoid further complications. Injuries to the face are common in a car accident and can be caused by almost anything, including a steering wheel, dashboard, airbag, windshield, side window, car seats or shattered glass. 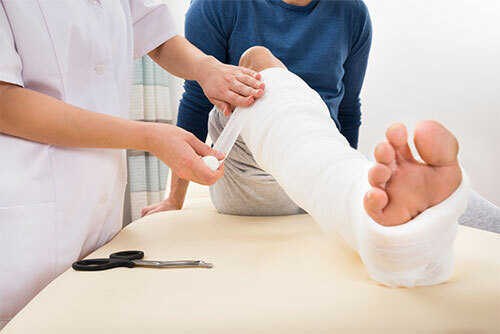 The injuries range from scrapes and bruises to fractures or dental injuries. Car accidents involving severe injuries and even loss of life, can result in drivers and passengers suffering short or long-term psychological injuries. They may develop emotional distress, post-traumatic stress disorder, persistent anxiety and depression. Knee and limb injuries are common in a car accident and it can be very painful. It requires rehabilitation and can lead to permanent physical disability. Injuries can include broken bones and ligament damage such as a torn ACL. Robert P. Ianelli is an experienced car accident attorney, in practice for 38 years. If you or a loved one has suffered a car accident injury due to someone else’s negligence, contact the law firm of Robert P. Ianelli.